If you own a boat, chances are, you know a little about Berber marine carpet. Marine carpet is especially made for areas that are exposed to water and puddling. This includes boats, docks, decks, and even basements. You need special carpet, like marine Berber carpet, for these areas because they are made to withstand the wear and tear that comes from lots of water exposure, sunlight, and traffic.The best Berber Marine Carpet is the one that meets the needs and function of your particular lifestyle. Quality is more important than price, especially if you have children or pets because a quality carpeting will be easier to clean and will hold up well to lots of traffic.Hence. Let’s see more information about this in detail. Basements are a great area to install Berber marine carpet. Due to the possibility of moisture problems in these underground spaces, Berber carpet for marine and basement is recommended..One way is to connect it lower back together, another manner would be to put off the old seam tape and do the entire seam over. If the seam that came apart is on a Berber carpet then it becomes a bit extra hard.A seam desires to face up to a lot of use, and accomplish that for decades. Many times you will not even realize that there may be a moisture problem in these spaces, and if you do not have specially backed carpeting like marine Berber carpet, you could have a breeding ground for mold and mildew, which can make you very sick. Check out our extensive article that will tell you about the best types of Berber carpets, including reviews, comparisons and buyer’s guide! Berber marine carpet is one of the many indoor/outdoor carpets that are available with a little twist. This carpet does not look like the plastic indoor/outdoor carpets of the past. It has a beautiful, classic look that is welcoming and inviting, rather than obviously being an indoor/outdoor carpet. You don’t have to install them using glue or tack strips, which can damage your preexisting floor. They can be easily installed and removed, which is excellent if you know that you will want to remove the carpeting after a few years.The peel and press Berber carpet tiles are also great for homes with children or pets.This is why many consumers purchase the Berber boat carpet for those areas that may have contact with water or moisture on a regular basis. Finding the right carpet for your particular area is very important for you to get the maximum value for your money. Marine Berber carpet is best used in areas that are not directly exposed to water, such as in an underground basement, the cabin of the boat, or on covered porches. Marine carpet is usually applied with a glue to ensure that there is not a space for mold, mildew, or fungus to grow between the carpeting and the subflooring. 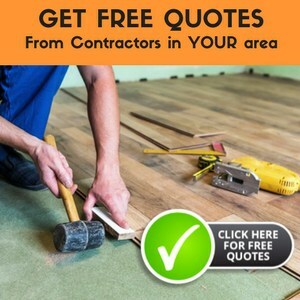 Make sure that you install it or have it installed exactly as the flooring manufacturers direct so that you will be satisfied with it for many years. If it is installed correctly, it should last you through the wear and tear of kids, moisture, and spills for a long time. Berber marine carpet can be found in many different colors and designs, allowing you will be able to find the carpeting that is right for your particular area. You don’t have to settle for bright green, plastic looking carpet for your basement or outside areas. You will be able to find Marine carpet that goes with the rest of your decor so that the carpet does not become a focal point. The best part of all is that you will also have the added pride of knowing that you installed it yourself.This provides it with extra supply and greater of a smooth floor, it’s less complicated on the theft. This is very important in areas where the normal indoor/outdoor carpet would be an eyesore, rather than an extension of your home. With just a little research and planning, you will be able to find a Berber marine carpet that both enhances your room and fulfills your purpose. I am having a heck of a time trying to find a decent source for berber rubber backed marine carpet. Can anyone out there help!!! Are you asking about the company in general or about their carpet? They have a few different lines. No, I have never purchased any products from them.